Finally, here is the brochure for the GHCC Middle School Winter Camp. It opens as a gate-fold from the middle, which really allows the two worlds imagery of the cities to really stand out. 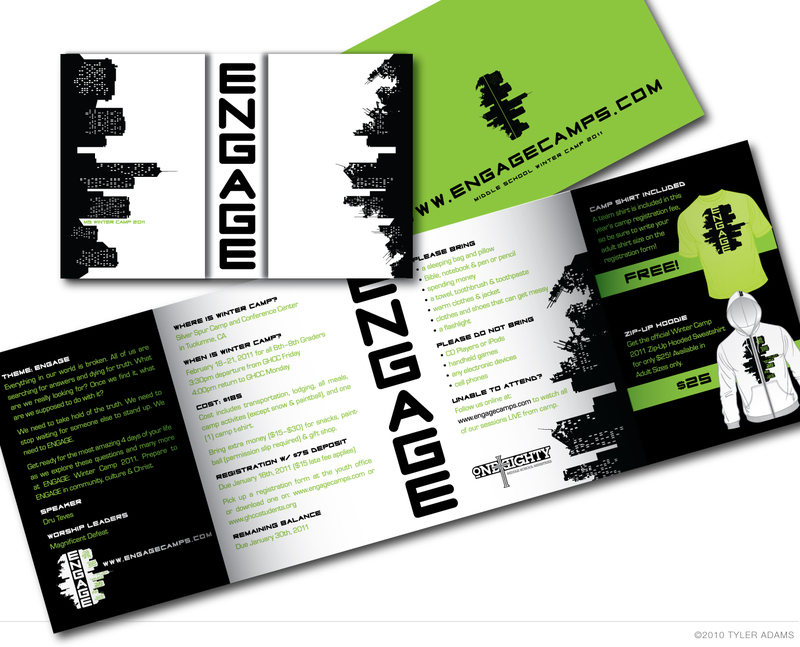 For more info about the camp, visit www.engagecamps.com (Designed by Kyle Stillman).